US Armed Forces conduct of invasion and occupation has historically exhibited brutal force against its occupied peoples as in present day Iraq. In modern times (late 19th and early 20th century), the US Army fresh from and honed by the Indian Wars and Civil War, and under the guise of helping the Filipino natives in their fight for independence from Spanish colonial rule, deceptively arranged a mock battle: "Battle of Manila Bay" with the Spanish authorities - who asked the Americans to keep the Filipino fighters out of Manila, and then wrestled the independence movement of the Filipinos. Within a few months, Spain ceded the islands to America and later was paid $20 million by America under the Treaty of Paris. Thus America became the new colonizer, the new foreign master of the colonized Filipinos.Subsequent American occupation of the Philippine islands was vehemently resisted but the natives had no way to win, given the lack of firepower and the duplicity of the "ilustrados" (wealthy and/or educated). The American occupation practiced brutality and rationalized its imposition in dealing with the use of labels such as: the natives are "savages", "insurrectionists", "niggers", "goo-goos" and thus do not have to be treated as fully human and consequently, anything goes. The below article I recently found, thanks to the internet, adds another light to the much neglected and glossed over "Philippine-American War" in our history books. In what follows I've referred to "my grandfather" and to things that he wrote in a diary he kept, and I should probably explain who he was. The Spaniards had sent friars; the Americans sent teachers. And they didn't waste time: they sent seven or eight hundred in the first year alone (1901-1902). The majority of these men and women - some with teaching experience, some without - came across on a steamer called the "Thomas"; my grandfather, then twenty-six, was one of them. His name, like mine, was Norman Cameron. After graduating from college in 1895, he had taught for six years in the public schools in Blacksburg, South Carolina, but up until 1901 he had never been west of the Allegheny mountains. In the Philippines, where he arrived aboard the "Thomas" in August 1901, he was assigned to teach school at Tagbilaran, Bohol. The war was still in progress when he got there and culminated just a couple of months later (on Bohol, that is). He remained at Tagbilaran till 1904, when he was reassigned briefly to the grade school at Tubigon. Throughout his sojourn on the island he kept a diary, which, though it runs to five volumes and covers two hundred pages in typescript, grows increasingly perfunctory as time goes on and as the novelty of his surroundings began to wear off. In March 1904, he left the Philippines, discontented and disillusioned by the fights that he'd had with the Bureau of Education in the islands. Back in the United States, he resumed his career, first at the Kalamazoo Teachers College in Kalamazoo, Michigan and later at the West Chester Normal School (now West Chester State University) in West Chester, PA. Somewhere along the line he acquired a Ph.D. at the University of Pennsylvania.While serving as the principal of the Baltimore Teachers Training School, in 1920, he met and married my grandmother, a 26-year old teacher trainee named Lula Sehrt. In 1928, he returned to the West Chester Normal School (with his wife and two children) and remained there as president for the next eight years, when he was ousted from the place for political reasons. He ended his career as superintendent of schools for the Garfield (New Jersey) public school system (1936-1941). In 1947, without warning, he died of a heart attack in Towson, Maryland. He was 72 years old. From the sound of it, the island of Bohol was one of the last places in the world that you wouldn't want to invade. From a sightseer's point of view, certainly, it had everything -- had there been any sightseers: beautiful weather, beautiful beaches, interesting and ornamental old churches, a sparkling sea. It even had souvenirs: native mats and straw hats and exotic fruit. Its people were picturesque too, a handsome, hard-working, placable folk who were sometimes known as the "Chinamen of the Philippines," in part because they were (many of them) ethnic Chinese -- but also because their industry and their skill as traders were a source of envy. In 1898 the island had become its own country, and the people of Bohol had governed it with tact and moderation and shown a broad-backed self-reliance in rebuffing an invasion from Cebu. It was the sort of place that could make you wistful. And "Indeed," confessed George Scriven, thinking back, "if I were ever tempted to play Robinson Crusoe Bohol would be my island." All that was missing really, from a sightseer's point of view, was hard currency. All that was missing was an American owner. In March 1900 two hundred men of the 44th U.S. Volunteers put ashore to try to rectify this oversight. But why it took them so long to get around to it is hard to say, for Bohol was, in fact, one of the last major islands in the Philippines to be invaded by American troops. Probably, this was a consequence, in part, of the island's small size. Bohol is only the tenth-largest of the archipelago's eleven big islands and its population and resources were known in 1900 to be modest. And unlike Panay or Cebu, it lacked a decent modern harbor. Lying well to the south, at the bottom of the jumbled heap of the Visayas, it was poorly situated to serve as a base for American troops; and except as the back door to Cebu it posed no threat to American arms. It was scarcely, therefore, a place to waste infantry, and the size of the force that was sent to invade it attests this. The war in the Visayas had begun on the island of Panay, on February 11, 1899, at about the same time that the war around Manila began. But, as it slowly bumped south from Panay to Leyte and Leyte to Cebu, the Visayan front was never really central to the outcome of the larger insurrection and it has never received much attention. Even while the war was being fought, the Visayas were less accessible to American correspondents and harder to dispatch stories from, and Aguinaldo and his generals kept them focused on Luzon. But it wasn't simply that the press was looking the other way; the Visayas were regarded as a kind of sideshow even at the highest levels of the army's command. As late as March 1900, more than a year after the war had begun and about the same time that Major Hale and his two companies of infantry were deploying for their landing on Bohol, the Military District of the Visayas was still being treated by the VIII Army Corps as a "semi-autonomous" command -- as a kind of puzzling innovation -- and not as an integral part of the Philippine force. Whatever his shortcomings as a person may have been, he seems to have quickly developed a coarse but effective set of tactics for dealing with conditions on the islands he'd been ordered to subdue. These were brutal and direct, and descended in all likelihood from the ones that Sherman had fathered in the Civil War South; Hughes was later said by one of his soldiers to have "burned a path 60 miles wide from one end of Panay to another" -- from Iloilo to the sea. This was an exaggeration but not a joke, and the tactics it referred to set the tone for the coming campaign. Wherever Hughes's men met opposition they were likely to retaliate, often harshly and often against civilians: burning villages, destroying livestock and applying torture at will. They were dealing not merely with insurrectos but with "Indios" -- with savages -- and the rules of "civilized" warfare no longer applied. This, at any rate, was what they argued later on, when the torture and the burnings became a national scandal at home. 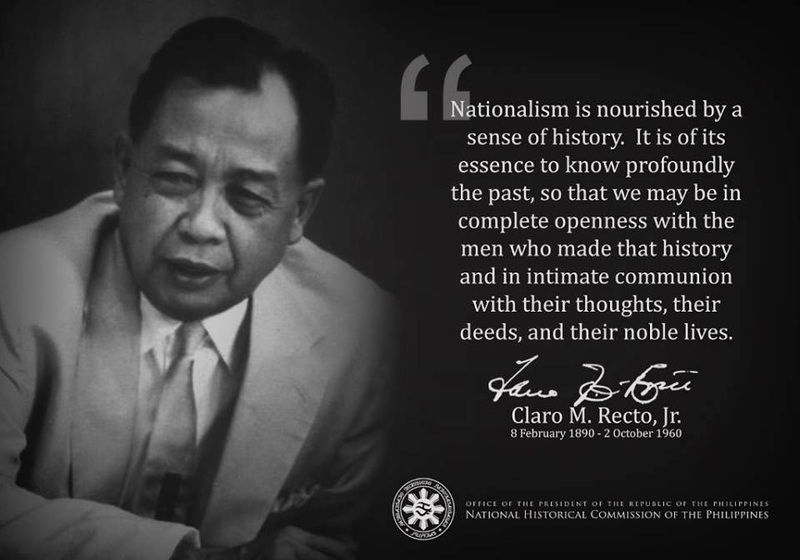 Nor was he a racial or political snob, and he shows a ready appreciation for the island's republican regime, calling Bernabe Reyes, the Presidente or governor, "a man of very superior ability and education." Overall, he remained untouched, to a remarkable degree, by the usual American arrogance and seems, as time passed, to have grown skeptical about the U.S. mission and its stated justifications. "A glance at the conditions found on... the island by our troops shows that we did not take over a mere lot of savages, or turbulent insurgents or ladrones, but a well-ordered, peaceful and self-respecting community capable of working out its own destiny, without aid from without..."It would be interesting to know if these enlightened views survived and if his skepticism grew, or if familiarity and routine killed them off. Or if events on Bohol did. For the tentative but peaceful arrangement that Scriven describes didn't last very long. Or rather, it lasted five months, until August 31, when warfare broke out in the hills near the village of Carmen. Shortly after his arrival on the island, Major Hale had apparently re-outfitted the local militia as an insular police force, appointing a miltiaman named Pedro Samson commandante. In late August, Samson set off from Tagbilaran on a tour of inspection of the island's police posts. But instead of returning, he emerged a week later as the island's biggest outlaw, appearing in the hills around Carmen with a force of "bolomen" and threatening, according to the army, to seize the northeasterly port town of Ubay. A detachment of 27 men from Company C of the 44th U.S. Volunteers was sent to intercept him and on August 31 they encountered one another near Carmen. Samson and his men were inadequately armed, with bolos and a scattering of antique muskets; but they seem, too, to have trusted too much in the potency of the anting-anting: in amulets, often just scraps of cloth, that were thought to shield the wearer from harm. Whatever the reason, the American marksmen simply gunned them down. More than a hundred insurgents were killed; fewer than twenty escaped. The Americans, in contrast, lost only one man.Filipino casualties were generally guessed at and only rarely recorded, but this appears to have been the most lopsided victory the American forces achieved on Bohol. It nonetheless frightened them, for as Scriven points out they were badly outnumbered by Boholans of fighting age, and they immediately called for reinforcements. These consisted of a company, possibly two -- but probably not more than a total of two hundred men -- from the 19th U.S. Infantry, a unit of the regular army that'd seen action on Panay and Cebu. They were led by Capt. Andrew S. Rowan, a hero of the Spanish-American war in Cuba.Samson in the meantime had apparently regrouped and raised a fresh strain of Filipino patriots; it's always hard to tell from the American records and, indeed, from this point on the insurgents become far less visible: clashes are reported and "forts" are taken, but the Filipinos, for the most part, fade away -- into the mountains or the high grass. There's no further record of massacres.Whether or not it was Samson they encountered, the 19th quickly saw action; on September 3, they came upon and scattered an outfit of insurgents in what are now known as the "Chocolate Hills," and from then through December, either alone or in company with the 44th, they fought a number of "minor engagements" in the island's interior, mostly in the mountains back of Carmen. Casualties were usually light and I am only aware that one soldier was killed, again a volunteer, on October 3. Later in the war, when the records for Bohol are more complete, they show that soldiers were considerably more likely to die of disease or alcohol poisoning, or to be shot for desertion, than they were to be killed by insurgents.The interior, though not necessarily deadly, remained a sinister place for American troops. The army controlled the littoral -- more or less -- and had planted garrisons in a line that ran from Tubigon to Loay. Here and elsewhere along the coast its pretensions were backed by gunboats and the gunboats were formidable. (I have no information on the "El Cano," but the gunboat "Annapolis," which was also in use at the time, mounted ten rapid-firing cannons, two machine guns and a howitzer. The largest of the cannons fired a 4-inch projectile -- an explosive slug that was fat as a man's doubled fists. And the "Annapolis" could come close in to shore: it's draft was a scanty twelve feet.) Inland, though, the island was essentially Samson's, and he taxed its inhabitants and stole or "requisitioned" supplies -- chiefly livestock -- as his army required them. It's hard to be sure how thorough his support was, or how substantial a force he commanded; its size must have fluctuated. (When he finally surrendered, with his force, I assume, at low ebb, 175 men put down their arms with him.) Still, I doubt that his imposts were popular, and some of the wealthier Boholans in time raised their own private armies in order to keep the insurgents at bay -- though this was commoner no doubt at the end of the war when they could tell what the outcome would be.In January 1901, with companies K and L of the 19th Infantry now installed on Bohol and the dry season coming on, the fighting seems to have ceased and Capt. Rowan was recalled to Cebu. He remained there until April, when two more companies of the 19th Infantry (cos. I and M) were sent across to Bohol -- presumably to take the place of the 44th Volunteers, who after more than a year were about to be relieved and sent home. But what is certainly true is that fighting resumed some time early in May. A tiny item in the New York Times on June 19 reported "an active renewal of the insurrection in the island of Bohol" and described the cause as the burning of an unnamed town by "Capt. Andrew S. Rowan of the Nineteenth Infantry..."; at which point, the paper glibly confided, "the people, inflamed with rage, rejoined the insurgent chief." The few historians who've bothered to notice Bohol have all agreed with this assessment: that it was thanks to the burning of Jagna that the fighting resumed; I'm more doubtful. But there is little question that from this point on a different sort of warfare prevailed and that villages on the island were often burned. The editorial was probably right -- about the insurgents -- and the burnings in any case continued. In early June, portions of companies I, K and M were deployed on a "hike" up the valley of the river Loboc and encountered opposition in the plain between Sevilla and Balilijan on June 14. The next day they assaulted a group of forts and what the company returns -- a kind of monthly accounting -- described as Samson's "headquarters." One American was killed, four were wounded and the forts were captured. Samson escaped, but Sevilla and Balilijan were burned to the ground in reprisal. It must have seemed safer than letting them stand, but it was also, unmistakably, a lesson in the risks of collaboration. This time, though, there were no investigations and the combined populace of about a thousand got no solace from the American command. They were left to rebuild, or drop dead. The column then turned and climbed the foothills to the village of Bilar; and somewhere near Bilar, on June 17, the hikers and insurgents fought again. Another American was killed, making two men killed in the course of the expedition. This one was one of Rowan's, from Company I. The fighting went on this way for much of the rest of the year. The Americans would send a party of men on a foray to the center of the island and the men would march inland and burn a suburb or two. And this would happen once a month. They might make contact with the enemy and confiscate some weapons; more often, though, they simply wrecked what they could, or what caught their eye. Butchering livestock (to deprive the insurgents of food) became a regular occupation -- though the damage that was done this way was steadily exaggerated. On October 19, 1901, towards the insurrection's close, my grandfather noted in his diary that "The `hiking' soldiers came back yesterday [from an excursion begun October 2] after having killed about 10 soldiers and every live animal for 20 or 30 miles." The rest of the tally is a little easier to credit: they'd "captured two cannon and some small arms and burned two towns. "Not all of the "insurrectos" who were killed, though, were always insurrectos, or killed in combat. Some were civilians who'd been executed. Others -- whether insurrectos or not -- had been tortured to death. The commonest form of torture was known as the "water cure," and it was so common that, on Bohol, toward the end of the war, people joked about getting it -- and then got it. It became, as its nickname suggests, a kind of liquid panacea, a cure for whatever you couldn't kill -- a cure for disloyalty, a cure for native "insolence," a cure for the insurrection -- which the army doled out like the shots for the small pox it also dispensed. Ostensibly, the "water cure" was used to elicit information. But the information it obtained was always suspect. And people died from it. Testifying before Congress in 1903, Lt. Grover Flint gave a sanitized but still vivid account of the way that it worked: A man is thrown down on his back and three or four men sit or stand on his arms and legs and hold him down; ...a carbine barrel or a stick as big as a belaying pin... is simply thrust into his jaws and his jaws are thrust back, and, if possible, a wooden log or stone is put under his head or neck, so he can be held more firmly. In the case of very old men I have seen their teeth fall out, -- and I mean when it was done a little roughly. He is simply held down and then water is poured onto his face down his throat and nose from a jar; and that is kept up until the man gives some sign or becomes unconscious. And then... he is simply... rolled aside rudely, so that water is expelled. A man suffers tremendously; there is no doubt about it. [S. Doc. 331, 57 Cong., 1 Sess. (1903), pp. 1767-1768]"...so that water is expelled" was a decorous way of saying "vomiting, atrociously." But sometimes victims didn't get that far; sometimes they just drowned. Or they talked -- they "spilled their guts" another way -- and they were executed anyhow. The "water cure" and other tortures, along with the burnings, gave the army campaigns of the summer and fall an air of vandalism and of offhand, almost casual violence. But outside of Bohol the situation had changed, and the army was under pressure to bring the fighting to an end. Early in 1900, President McKinley had appointed a committee of civilians to administer the islands' affairs and in July 1901 this second Philippine Commission, headed by William Howard Taft, had been officially installed at Manila. It began to treat the islands like a colony, and less like a theater of war, "substituting," in McKinley's words, "the mild sway of justice and right" for "the extensive burning of the barrios... [and] the torturing of natives by the so-called `water cure'" that were more often the rule (and not McKinley's words at all). The Commission expected and wanted the war to be over. So, increasingly, did people back home, from all the usual, loud and conflicting persuasions. And it was clear by then that the Filipinos could only stop the war from ending; winning it was beyond their grasp. Aguinaldo had been captured on Luzon in March and, except in pockets in the south, the insurgency there had collapsed. Resistance in the Visayas was sporadic -- but about to get lively on Samar -- and among the Moros, on Mindanao, it had only just begun. But the Moros and Samar weren't essential; Manila was what mattered, and in Manila there was a growing and potent sense of the war's futility -- certainly among the island's ruling caste. These ilustrados -- merchants and wealthy landowners -- had begun to see the advantages of cooperating with the Americans rather than fighting them. It was what they'd done with the Spaniards, after all, and they must have sensed that they could come to an arrangement that'd suit them -- especially since, as educated men with considerable influence among the people; they were the colonial government's logical partners and friends. The ilustrados' views and the political party they founded, the Partido Federal, began to influence people's thought and to undermine the continuing resistance. Whether their views penetrated to Bohol is a question, but the insurgents on Bohol were having their own problems, including, most notably, an inability to win battles. Ever since the rout near Carmen the August before, they'd avoided pitched battles and, though their tactics are never described, it seems obvious that, like the Samar insurgents, they resorted instead to clandestine, or guerrilla, attacks. Still it isn't even clear how many of these they carried out and they seem to have accomplished very little. Their problem, their biggest problem was that they lacked firepower. They had a couple of captured Krags, but mostly their guns were old Springfields, a mid-century carbine that fired an improvised cartridge. And most of the insurgents probably didn't have these. When they surrendered, in late December, only about a quarter of the men had guns of any kind. The rest were armed simply with bolos, the Filipino machete.Fighting from ambush or in defense of their strongholds, the Boholans showed certain ingenuity and even learned to inflict some damage. More and more often, beginning in August, American casualties were reported as the product of "bamboo traps," pitfalls lined with sharpened bamboo stakes. These were apparently used as a kind of abatis to protect and fortify Filipino positions. Lt. Richard Wetherill of L Company was wounded in pit traps twice: the first time seriously when a stake pierced his ribs, and the second time, three months later, on a "scout" of the "insurrecto fortification called Balacguin" (back of Loboc) when another one skewered his thigh. This second incident made the front page of the Manila Times, which railed at the use of pit traps generally and described them as "devilish, inhuman and unwarlike." [Manila Times, December 10, 1901, p. 1] The article noted that the trap had claimed another two men, a Filipino "muchacho" or guide -- who was killed -- and Lt. George I. Feeter, who were wounded in the foot. This is the same "Lieut. Featers" who, according to my grandfather, "shot `'googoos'" and it seems plausible to suppose that the shootings, or at least some of them, were carried out in reprisal for the cut to his foot. In August, the island's other scourge, Capt. Andrew S. Rowan, was returned to duty as commander of Company I and assigned to take charge of the station at Tubigon. Far from being chastened, he seems to have thrown off restraint and sent his company out to break heads. General Hughes in the meantime had moved successively closer, first to Leyte, and then in mid-September to Cebu. On October 31, Cebu's insurgents surrendered and Hughes prepared to pivot on Bohol. Things were picking up speed: Panay and Negros were pacified, Cebu had just surrendered. Samar, it's true, had flared up again, but by the beginning of November Samar and Leyte were no longer General Hughes's concern; they were part of another command. All that remained to him was to polish off Bohol. Hughes wasted no time. On November 4, he landed 400 soldiers at Loay and immediately propelled them to the east and northeast, encircling the island from below. Columns of smoke soon began to rise inland. A certain amount of this was probably fore-ordained; Samson had rejected a peace offer just a couple of days before and the army, it seems, saw no meaningful alternative. Already, on November 3, according to my grandfather, the decision had been made that "more towns are to be burned." But under Hughes, the pace and intensity of the burnings picked up. By mid-November the plume of smoke from the fires that he'd set was visible more than thirty miles away on Camiguin Island. Some were probably burned twice. Garcia Hernandez was burned, Anda was burned, Inabanga was burned (and its police force was drowned) and the town of Jetafe was only spared by a fluke when two columns of troops, approaching it from different directions, turned away by mistake at about the same time, each assuming that the other'd light the match. This was how reflexive the burnings had become.Torture of course was the army's other pacifier and its use, according to rumor, was authorized by General Hughes himself. It was certainly approved by Major Edwin F. Glenn (who replaced Hughes in time for Thanksgiving), and Glenn's subsequent court-martial -- which was full of the most ear-rattling accusations (aimed at both sides) -- makes it clear how routine the practice of torture had become by the end of the war. Prominent citizens were the first to be mistreated this way and General Hughes had hardly been around for a day when my grandfather reported that "the presidente and padre have been put through the `water cure' at the [General's] instigation..." (This was the mayor of Tagbilaran and not George Scriven's presidente.) At Inabanga, the presidente was killed -- "why I know not." At Loay, "they broke the arm of the padre... when they gave him `whiskey instead of water.'" My grandfather's tone was growing jauntier, and the presidente of Baclayon, with considerably less cause to scoff, joked abysmally that if they gave him the water cure--hah hah--"he hopes it will be beer, and then he will take it in the ears, nose and mouth. "Not everyone managed to stay so suave in the face of this onslaught and on November 7 the women of the island, in a scene from Aeschylus, sent a noisy--or silent--deputation to the army's HQ. Fifty women, including two Americans, pleaded with General Hughes to suspend the fighting "till they could get to the mountains to have their husbands come in." Surprisingly Hughes agreed. Or maybe it was only that he couldn't think how to say no. In certain ways, it's the most interesting moment in the whole insurrection, this quixotic little episode -- and one that's far less quixotic, in its way, than the rest of the war. It came to nothing of course. On the 8th Hughes reversed himself and sent his "hikers" out anyway. And the fighting went on. But it didn't go on for very long. By the end of November, the resistance on the island was beaten down and negotiations had begun between Samson and the American command. Hughes had departed on November 22 and been replaced by Major Glenn, a 46-year old lawyer and judge advocate who directed the negotiations. These dragged on for another month, as Samson sought dependable guarantees that he and his men would be amnestied.Finally, on December 23, in the clear waning light of the winter solstice, the insurrectos surrendered. At 3 o'clock that afternoon, the former policeman and, now, General signed an armistice at Tagbilaran and swore allegiance to the United States government, renouncing, mostly for form's sake, his insubstantial tether to the larger Katipunan-led revolt. His men were disarmed, and that night at an army-sponsored fete there were speeches and a dance. The next day, each of the approximately 175 insurrectos took the oath of allegiance and agreed to pose for photographs. Many of them were children. Bohol was now pacified, but the insurrection, though officially defunct, continued twitching for several months as partisans straggled in from far-off villages. A puzzling front-page item in the Manila Times, that purported to be based on a cable from General Wade at Cebu, reports another large surrender on January 15, 1902. "Three hundred and sixty-five insurgents," it contends, "came in and surrendered on the 15th instant at Tagbilaran, Bohol and took the oath of allegiance." But this figure is probably too large and seems more likely to represent the total of all the insurgents who'd surrendered on Bohol up till then. Certainly, my grandfather's diary makes no mention of a massive surrender and, in fact, his entry for the 15th begins "Nothing of importance." He only allows (the next day) that "In the past few days more googoos have been surrendering..."
By this time, perhaps, the trickle of insurrectos had become too commonplace even to notice.With the signing of the armistice, Hughes's 400 men had been recalled to Cebu. Four companies of the 19th Infantry remained in place to keep the peace: companies I, K, L and M, the same four units who'd been stationed on Bohol since April; and the government of the island remained in their hands. Civilians had been moving in since the summer, getting ready to take over functions that the army would eventually relinquish: teachers, engineers, telegraphers and surveyors. None of them, surprisingly, had been injured while the war was going on. But now that the war was over a civilian became the fighting's final victim. J. R. Hegg, the provincial supervisor, was on a tour of inspection of the island's roads when he was boloed in the mountain town of Batuanan in late January. His body wasn't finally recovered till nearly ten months later but the news of his death made its way to Tagbilaran very quickly and caused panic and outrage and came close, for a couple of days, to bringing on a recrudescence of the war. My grandfather strapped a gun on and drew up a will. Teachers were pulled in from the outlying towns. And rumors flew: Samson himself had ordered Hegg's death; Samson and his men were in arms again and had taken to the hills. Filipinos were tortured; it was the one way of handling things that everyone seemed to have faith in. The Manila Times, as usual getting wind of things late, urged a crackdown: "The quicker [Bohol] is pacified and pacified hard, the less blood will be spilled in the long run." [Manila Times, February 7, 1902, p. 1] But the furor blew over surprisingly quickly, the panic subsided, and the invaders regained their confidence. On February 9, K Company, stationed at Loboc, left the island for good. The rebellion on Samar had grown fiercer and troops were being sucked from all around to strengthen the fighting force there; K replaced a unit on Cebu. Its departure left fewer than three hundred troops on Bohol, but from this point on there was less and less really for the army to do. On February 3, in the midst of the scare caused by Hegg's assassination, the first American-sponsored elections had been held on the island and Anecito Clarin, a respected landowner who was also an American favorite, had been voted the island's governor. Civilians began to take over. A Philippine police force, or constabulary, gradually assumed the army's responsibilities. The transition to civil government became official on Bohol on April 3, 1902 and a month later the three remaining companies of the 19th Infantry left the island for good. The regimental band had departed in April, playing "Dixie" into the wind.